Baseball season is in full swing and it isn’t uncommon to find me at the ball field several nights a week. I enjoy watching my youngest son play ball (pictured) and wouldn’t want it any other way. But it hasn’t always been that way. 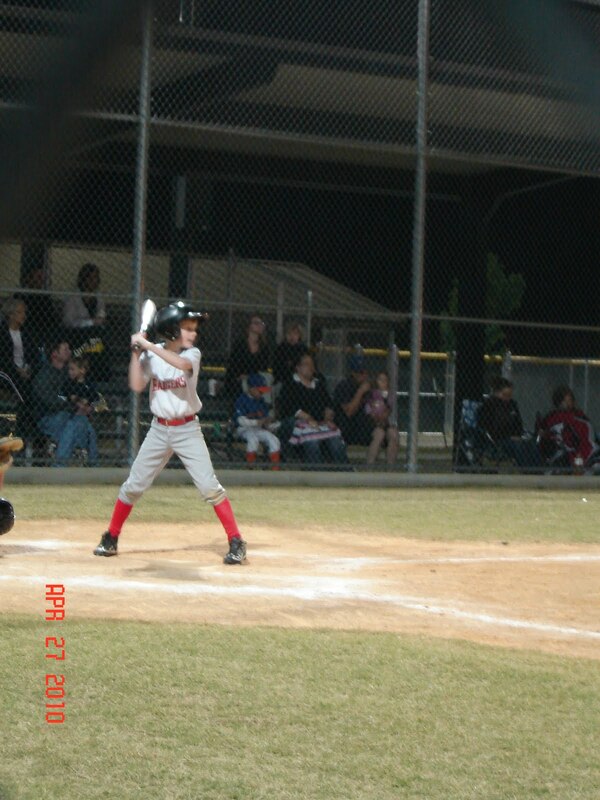 My stepson played baseball for years and my husband was usually coaching his team. So that meant I was sitting in the stands by myself or with my husband’s ex-wife. Ugh. It was awkward and uncomfortable for me but I had convinced myself I had to be at every game my stepson played in. When my youngest son was born, I dragged him along too, struggling to keep him content while trying to focus on the game. I think I would do it differently today. I would still be at most games but on the days I was physically or emotionally exhausted from other responsibilities, I would stay home. I would take time for myself, relaxing with a book or a hot bath. My stepson didn’t expect me to be at every game – especially with a baby or toddler in tow. I put those demands on myself, thinking my husband expected that of me. I didn’t learn to set boundaries until well into my adult years. I wasted a lot of time doing what others expected of me, running around to every function I thought I needed to be at. I spent most days unhappy with my circumstances but afraid to do things differently. When I leaned to set boundaries, I learned to do what was best for me. Setting boundaries doesn’t mean we become selfish or unconcerned with other’s needs. It means we take care of ourselves first, giving us the capability to then take care of others. Boundaries are flexible, changeable and removable so we can adjust them according to our present situation. They aren’t meant to keep others out but give us the right to determine how open or closed we will be at any given time. As a stepparent, boundaries offer freedom to do what is right for us. If you’re bitter or resentful with your schedule or responsibilities, it may be time to set some boundaries. In Part Two, I will continue to discuss boundaries as a stepparent and a resource for boundary setting that helped me tremendously.